When you purchase expensive optics, you need to be careful about who you deal with, and what you buy. There are an increasing number of forgeries coming in from various parts of Asia. Just recently, three executives of Field Sport Inc. were charged with ‘selling a counterfeit mark’, in connection with Field Sport’s importation of fake EoTech riflescopes. Earlier this month, 900 counterfeit EoTech sights/magnifiers were discovered by the U.S. Customs and Border Protection officers inspecting a shipment from China. The Field Sports execs were charged with multiple felonies. Now a fugitive believed to be in China, Yongming “Steven” Sui, 53, chief executive officer of Field Sport Inc., was charged by state prosecutors with two felony counts — manufacturing and selling a counterfeit mark (a form of trademark infringement) and possession of an assault weapon. Also charged in the state criminal complaint were Sui’s colleagues — co-owner Isaac Cheuk Hang Tse, 65, of Rowland Heights, and Pao Sheng Yang, 34, of Corona, the firm’s business manager. Both are alleged to have engaged in manufacturing and selling a counterfeit mark and possessing an assault weapon. If you have any concerns about the authenticity of a Leupold scope you plan to purchase, ask the seller for the SERIAL NUMBER. Then call Leupold support at 1-800-Leupold. Leupold will trace the serial number and determine positively whether the scope is genuine or conterfeit. Credit to The Firearm Blog for flagging this story. Share the post "U.S. Customs Discovers Counterfeit Scopes Coming from China"
Hornady is rolling out a series of new Boat-Tail Hollowpoint (BTHP) match bullets. These are all-new non-tipped bullets, not merely modified A-Max designs. There will be a 105gr 6mm, a 140gr 6.5mm, a 162gr 7mm, three new .30 Cal bullets (178, 208, 225 grains), a 285gr .338-cal bullet, and a monster 450gr .416-caliber projectile. These BTHP bullets feature Hornady’s new AMP (Advanced Manufacturing Process) jackets, which Hornady claims are “the most consistently concentric bullet jackets available”. Unfortunately, the 6mm and 6.5mm bullets have not reached dealers’ shelves yet, as far as we can tell. However, the .30-caliber match bullets, the 162gr 7mm, and the new .338 and .416 bullets, are in stock now either at Grafs.com or Sinclair International. Our price check revealed that, for those new Hornady Match bullets currently carried by both vendors, Grafs.com has the lower price by a couple dollars per box. Grafs.com also offers free shipping (after a flat-rate handling charge). The prices in the chart below are for Grafs.com, except where only Sinclair Int’l has inventory in stock. High BC and Improved Concentricity — But Will They Shoot? Hornady boasts some pretty high G1 BCs for most of these new match bullets. In addition, Hornady claims the new bullets have superior concentricity because their AMP jackets exhibit “near zero wall-thickness variation”. We’re anxious to try some of the new AMP-jacketed bullets to see if these bullets really are exceptionally accurate, or whether Hornady’s marketing claims are mere hype. Watch the video below to learn more about these new bullets. Disclosure: Hornady does not advertise with AccurateShooter.com and does not contribute to this site as a sponsor. Story sourced by Edlongrange. Share the post "New Hornady HPBT Match Bullets — Most Have Arrived"
Mark your calendar. The NRA Annual Meeting, to be held April 28 through May 1 in Pittsburgh, PA, is just one month away. 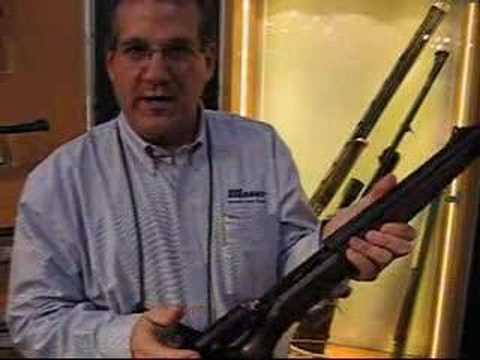 The 2011 NRA Annual Meeting features nearly 500 displays of firearms, shooting accessories, and hunting gear. Most major domestic firearm companies will have their complete line-up on display. With over 310,000 square feet of exhibit space, there’s something for everyone. You can check out new handguns, view tactical and sporting rifles, book a hunting trip, or browse heirloom arms in the gun collector area. The Meeting is FREE for all NRA members (however some special events require ticket purchase). To see the exhibitor list, view the floor plan, check the seminar schedule, or reserve event tickets, go to NRAAM.org, the official NRA Meeting website. The meeting officially opens at 2:00 pm on April 28. 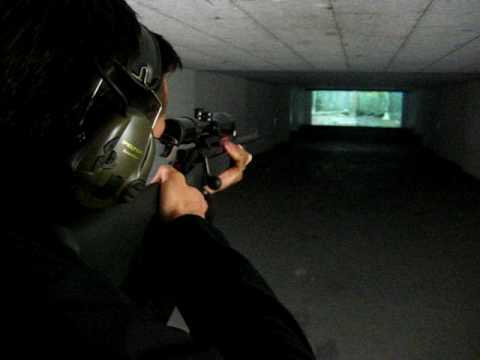 Early birds should head straight to Pyramyd Air’s Air Gun Range for some indoor shooting fun. On the 28th, you can also check out the lobby exhibits, get tickets for major events, and shop at the NRA Store. On Thursday you can beat the crowds by registering early. Attendee Registration on Thursday runs from 2:00 pm to 6:00 pm. Registration resumes at 8:00 am each morning for the next three days (Fri, Sat, Sun). Major ticketed events at the Annual Meeting include: NRA Foundation Banquet (April 28, 5:00 pm), 5th Annual NRA-ILA Auction (April 29, 6:00 pm, Heinz Field), NRA Celebration of American Values (April 30, 7:30 pm, CONSOL Energy Center), NRA Annual Prayer Breakfast (7:00 am, May 1, Wyndham Hotel). Friday, April 29: 9:00 a.m. – 6:00 p.m.
Saturday, April 30: 9:00 a.m. – 6:00 p.m.
Sunday, May 1: 10:00 a.m. – 5:00 p.m.
NRA is seeking volunteers to help at the 2011 NRA Annual Meeting in Pittsburgh. Volunteer opportunities include working at the Air Gun Range, staffing the membership counters, and stocking shelves in the stores to name just a few. For more information, contact Dennis Eggers, Annual Meeting Volunteer Coordinator, at 270-522-0909. 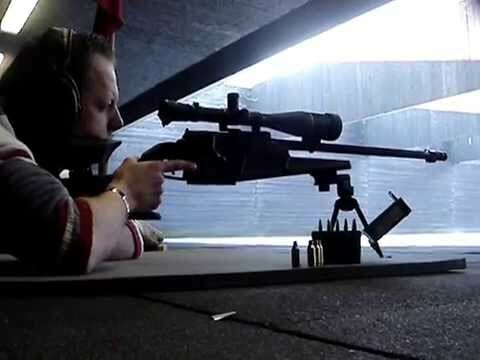 Share the post "NRA 2011 Annual Meeting Kicks Off in Pittsburgh, PA on April 28"
Tracy Barnes of Durango, Colorado beat the very best biathletes in the world in the Shoot-Out phase the Veltins World Team Challenge in Schalke, Germany. The World Team Challenge, held annually in the Veltins Arena, is the equivalent of the SuperBowl of Biathlon. Tracy grabbed top honors in the prestigious Shoot-Out event, a shooting competition for the top 20 biathletes in the world. In this invitation-only event, 10 women competed head-to-head in a four-stage shooting event duplicating the format for a regular biathlon race (two prone, two standing). In the final round of competition, the top three ladies from the preliminary round face off with the top three men from the mens’ first round. Tracy came in 1st for the women’s round AND 1st in the final competition! Meanwhile, back in the USA, Tracy’s twin sister Lanny Barnes traveled to Mammoth Lakes, California on friday to help with biathlon clinics for several hundred new biathletes ages 10+ and competed in a race at a new biathlon course in Mammoth Lakes on Sunday. Due to the town receiving close to 10ft of snow during the week, flights were canceled and Lanny wasn’t able to make it in for the clinic. She helped with the kids, adults, wounded warrior, and disabled skier biathlon race on Saturday and competed in an elite race on Sunday. She won the race on Sunday that was filmed by Versus and Outdoor Channel and American Trigger Sports Network. Tracy was impressed by Mammoth Lakes — she says it is evolving into one of the best high-altitude biathlon venues in the country. With over 200+ volunteers that dug out the range buried by mountains of snow, the Mammoth Lakes crew put on one of the most professional and exciting biathlon events ever run in the United States. The twins ended their seasons after those two events and will now take a two week break before starting up their training again for the 2011/2012 season. With three short years until the next Winter Oympics, the twin will be training hard in hopes of winning gold in Sochi, Russia in 2014. Photos provided courtesy Tracy and Lanny Barnes, rights otherwise reserved by copyright holders. Share the post "American Tracy Barnes Wins World Biathlon Shoot-Out"
First, CDNN is offering Silencio EarMuffs for just $4.69 (or $3.99 for 6 units or more). If you help run a gun club or junior shooting program, and you need a large quantity of ear muffs — here’s your opportunity. You can buy a dozen muffs for just $47.88. Stellar deal. Next, CDNN offers Uncle Mike’s molded Kydex straight-drop holster for just $9.99. This Editor owns this very same holster and I use it for general range practice and IDPA matches. I really like the straight drop which allows the holster to be used in multiple strong-side positions as well as cross-draw. This holster fit my Glock perfectly (way better than a $95.00 BladeTech holster I used to own). Don’t be fooled by the low price, this is a very good holster, with a better fit to the gun than many $100 holsters. Check the advert for availability for your Glock, Beretta, HK, or S&W M&P. If you can’t find a CDNN sale item to fit, you can normally get these holsters for under $22.00 at gunshops. One of the first things many AR15 shooters do is replace the standard plastic pistol grip, with something that fills the hand better. One of our favorite replacement grips for AR platform rifles is the MFG Grip from Israel. Much more ergonomic than the standard grip, the MFG was originally developed for Israeli Special Forces. It features a stippled back, finger groove, and an internal storage compartment with trap door. It’s on sale at CDNN for just $14.99. The last item that caught our eye is a Burnt Orange 52″-long plastic rifle case. This Plano-made gun case is lockable and airline-approved. Why would you want a bright-colored rifle case? Well, at a well-attended match you’ll often see dozens of virtually identical rifle cases. If your case is orange while all the others are black, there’s less chance someone may walk away with your rifle by mistake. And Airport thieves are less-inclined to grab a bright-colored case that is easy to spot at a distance. CLICK HERE to Download Latest CDNN 2011-1 Catalog (34 meg PDF file). Share the post "Great Deals on Shooting Accessories in New CDNN Catalog"
For 2011, Champion® Traps and Targets offers new 3D and printed targets. For fans of reactive targets, Champion now sells bright “Radiation Green” versions of its single and triple varmint spinner targets. These auto-resetting targets wobble or spin on impact to indicate positive hits. The targets are made from a self-healing DuraSeal polymer than can take hundreds of hits. (The smaller the bullet, the longer the target life.) The new day-glo green color really is eye-catching, even at long range. That’s because flourescent or “dayglo” colors not only absorb and convert light energy of the dominant wavelength, but also the wavelengths of ultraviolet rays and other colors lower in the visible spectrum. As a result, your eye perceives a far more intense color. More INFO. In addition to reactive targets, Champion offers a wide selection of printed targets, including 100 and 200-yard benchrest targets. New for 2011 are “X-Ray” animal targets and Insect Targets. The X-Ray targets display the bone structure and heart/lung position of game animals. These will surely be popular with hunters, as will a new line of “Critter” targets with 5 different realistic animals in a 10-pack. Precision shooters looking for a change from standard bullseye-targets should have fun with the new Bug and Fly Precision Targets. We like shooting the Fly Paper target at 50 yards with our rimfire rifles. CLICK HERE to view the new X-Ray Animal Targets, Critter Targets, and Precision Insect targets. Share the post "Champion Offers New Reactive and Printed Targets"
The entry/information forms are now available for the NBRSA 600-yard Nationals (Sloughhouse 600: April 20-21, 2011), 1000-Yard F-Class Bench Match (April 22, 2011), and 1000-Yard Nationals (Sloughhouse 1000: April 23-25, 2011). 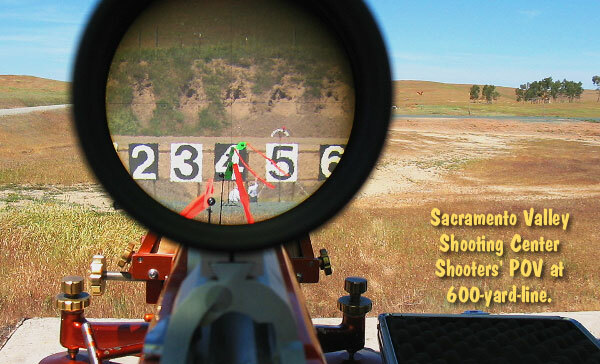 All three major events will be held at the Sacramento Valley Shooting Center, located outside Sacramento, California. There will be hot dogs for purchase April 20,21,22, and 24, while lunch will be catered on Saturday, April 23rd. Match Fees for the two Nationals Events are $50.00 per class (Light Gun and Heavy Gun), while the fee for the F-Class Bench Match (22-lb class) is $30.00. Make Checks payable to: Sloughhouse Benchrest Shooters Inc., 10607 Sacramento Road, Galt, CA 95632. More information will be available on the NBRSA website. Share the post "Sign Up Now for NBRSA Long-Range Nationals in April"
The 5th Annual Brownells Gunsmith Career Fair will feature some of the biggest names in the gun trade. These experts will share their knowledge to help budding gunsmiths learn new skills and grow their businesses. Bureau of Alcohol, Tobacco, Firearms & Explosives (ATF) representatives will also be on hand to answer questions. The Gunsmith Career Fair runs April 15 and 16, 2011, at the Downtown Marriott Hotel in Des Moines, Iowa. The event is FREE to gunsmiths and exhibitors. There’s still time to register to attend or exhibit, just go to gunsmithcareerfair.com or call 641-623-5401 and ask for Stacy or Jill. Attendees and exhibitors are urged to book hotel rooms and flights early. Share the post "Brownells Announces Annual Gunsmith Career Fair Seminars"
Manners Composite Stocks has released its new MCS-T4 trainer stock for CZ 452 and 455 actions. This should work well for guys who cross-train with a .22LR or who compete in the popular Tactical Rimfire matches now offered by many clubs. The MCS-T4 duplicates the feel, heft, and ergonomics of a full-size tactical stock, making it easy to transition from your centerfire rifle to your smallbore trainer. Tom added: “We designed the MCS-T4 so the CZ 452/455 bolt handle and trigger are in the same location as your full-size service rifle”. Manners can also deliver the MCS-T4 with an extra-heavy fill to bring the weight of the complete gun up to about 13 lbs — about the same as a centerfire bolt gun with a medium-contour barrel. With the MCS-T4, a shooter can put together an affordable rimfire cross-trainer without having to spend big bucks on a 40X action or 40X clone. The new Manners MCS-T4 CZ Trainer Stock lists for $475.00 plus shipping. For more info, visit MannersStocks.com or call (816) 283-3334. Share the post "Manners Offers New Stock for CZ 452 and 455"